Mothers who smoke during pregnancy could be harming their daughters’ fertility in years to come, research suggests. 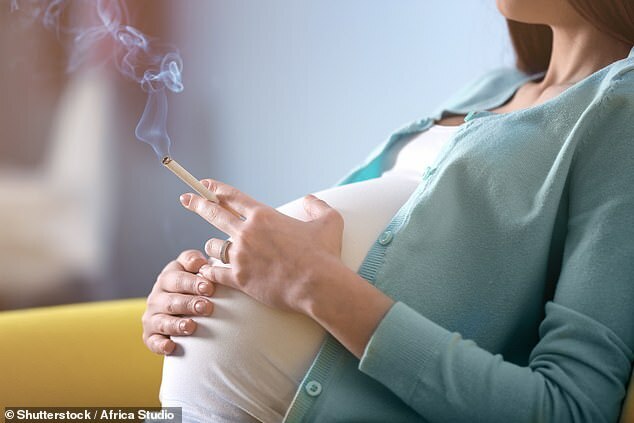 Women have been warned about the risks of smoking while pregnant for years, with their offspring at risk of heart defects and other health problems. But more than one in ten women – 65,000 every year in England alone – still smoke all the way through pregnancy. Scientists at the University of Cambridge have now discovered the damage is even more far reaching than thought – and could even put a woman’s chance of having grandchildren at risk. Their findings, published last night in the FASEB science journal, are the first to suggest that girls born to women who smoked during pregnancy may struggle to have children of her own. Experiments on rats during pregnancy found that oxygen deprivation – also known as hypoxia – effectively recreating what smokers do to their lungs, resulted in female mouse pups born with fewer ovarian follicles. The researchers say that rats are a useful model for studying human pregnancy because their reproductive biology shares many of the same features. 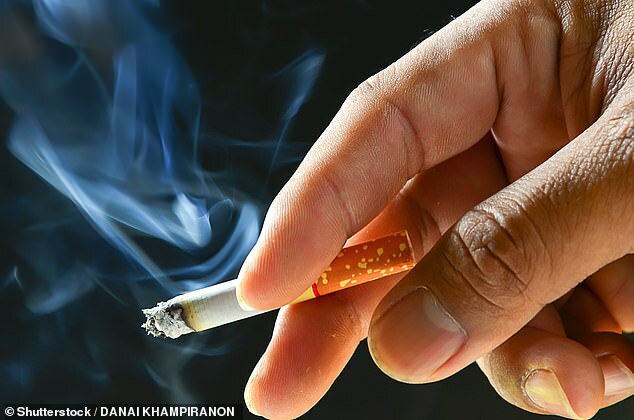 They believe girls born to women who smoked during pregnancy will see a similar reduction in ovarian function, which they say could result in loss of fertility and earlier menopause. Scientists placed pregnant female rats in reduced levels of oxygen, 13 per cent compared to the standard 21 per cent found in the air, from day six to day 20 of their pregnancy. They then examined the reproductive tract of female pups at the age of four months and found a 30 per cent decrease in the number of ovarian follicles. Women are born with fixed numbers of follicles, each with the potential of developing into an egg. In humans, women usually expend all their eggs around the age of 50, at which point they start the menopause. Dr Catherine Aiken, from the department of obstetrics and gynaecology at the University of Cambridge, said: ‘It’s as if low levels of oxygen caused the female’s ovarian tissue to age faster. Despite the research being carried out using rats, previous rat studies looking at oxygen deprivation during pregnancy – in relation to other conditions such as heart disease – have been shown to be relevant to humans, she added. She said that pregnancy conditions such as pre-eclampsia, which also result in lower oxygen levels during pregnancy, could have similar results. ‘Now that we’ve seen a link between hypoxia and fertility problems in rats, we know what to look for in women,’ she added.